Zanata admin has full access to all functionality in Zanata. 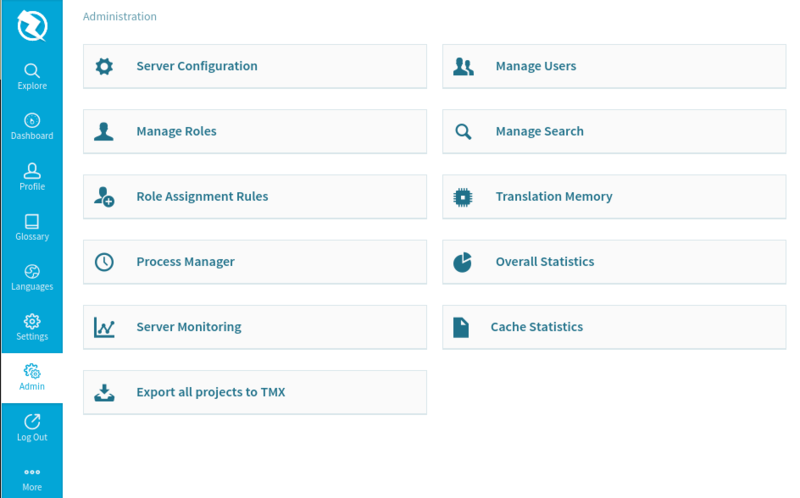 To access to admin menu, login to Zanata with admin role user, select Administrator. Configuration and settings for Zanata server. See server configuration for more information. Edit user information such as password, roles. Create new roles to Zanata. Reindexing Zanata database used for searching. See Manage search for more information. See Role assignment rules for more information. Import/Export external TMX file for translation memory in editor. All background asynchronous tasks running in Zanata. See Process manager for more information. Overall general statistics of Zanata. See Statistic for more information. See Monitoring for more information.